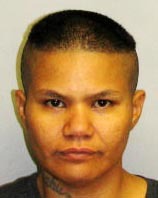 Big Island police have charged a 32-year-old Keaʻau woman with six offenses in connection with various financial crimes that allegedly occurred in Hilo. Shortly before 11 p.m. Friday, detectives from the Area I Criminal Investigations Section, after conferring with prosecutors, charged Levon Keala Kahee with two counts of second-degree forgery, one count of second-degree theft, one count of second-degree attempted theft, and two counts of second-degree identity theft. Her bail was set at $90,000. She was also arrested for an unrelated bench warrant for contempt of court. 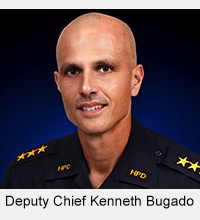 She was being held at the Hilo police cellblock pending her initial court appearance today. 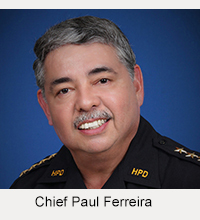 At approximately 5 p.m. Friday, police responded to a check cashing business on Kanoelehua Avenue in Hilo after receiving information that Kahee had allegedly attempted to cash a check stolen from a residential mailbox in the Leilani Estates subdivision in Puna. Police also determined that Kahee had also allegedly cashed another stolen check at the same business on a previous date.